June 8, 2008 — Truman and I have pretty much been hanging around the apartment, having a lazy day. Some days, he just looks big and grown up in ways that I’ve not yet seen. Today, inexplicably, he looks suspicious. He is adorable! I really love his collar! very cute photo….I love his collar! Very cute. He looks like he knows that you hid his favorite chewie. 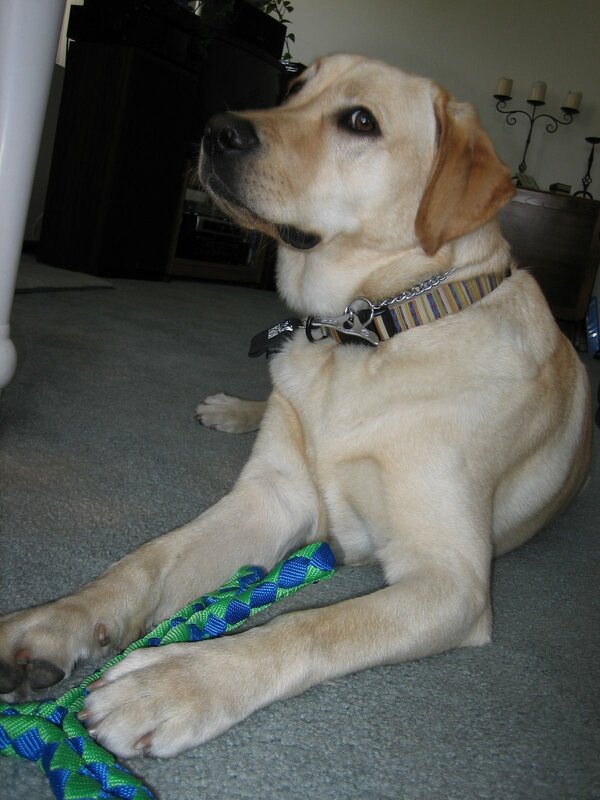 Aww how cute….you should enter World Wide Fido dog contest…He would totally win!! I would vote for him.